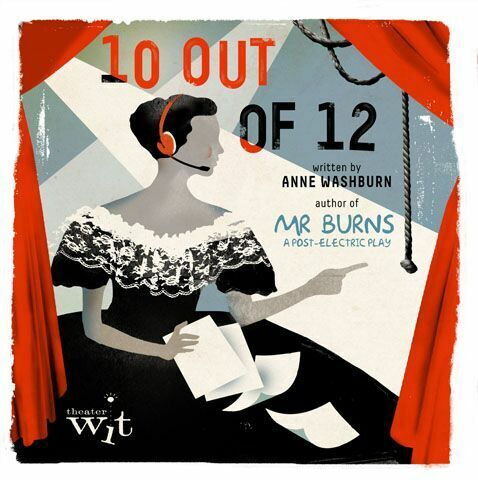 Chicago theater luminaries Martha Lavey, John Mahoney, Barbara Robertson and Peter Sagal will play key roles in Theater Wit's much anticipated Midwest debut of 10 Out of 12, the newest, most adventurous work by Anne Washburn, author of Wit's 2014 smash hit Mr. Burns, a post-electric play. features (row 2, from left) Chicago theater all-stars Martha Lavey, John Mahoney, Barbara Robertson and Peter Sagal in pre-recorded roles, integrated with the live on-stage action played by (row 3) Dado, Gregory Fenner, Kyle Gibson, Shane Kenyon, Erin Long, (row 4) Riley McIlveen, Adam Shalzi, Stephen Walker, Eunice Woods and Christine Yrem-Ydstie. Hailed by the New York Times as a "wholly original love song to the maddening art of the theater," 10 Out of 12 is an extraordinarily funny and touching workplace comedy. With its story of the challenges of bringing a new play to life, Washburn's near-perfect recreation of a technical rehearsal is also a moving tribute to the complexity and beauty of human endeavor. "No one in Chicago has ever seen anything like 10 out of 12. Simultaneously exactingly real-to-life and riotously funny, Anne Washburn's detonation of a single technical rehearsal is promising to be a unique and thrilling viewing experience," said Jeremy Wechsler, Artistic Director of Theater Wit and director of 10 Out of 12. "This is the most technically extravagant piece of design we've ever done at Theater Wit," he added. "For instance, armed with 98 individual headsets, our audience will get to experience the play in three distinct auditory spaces simultaneously. 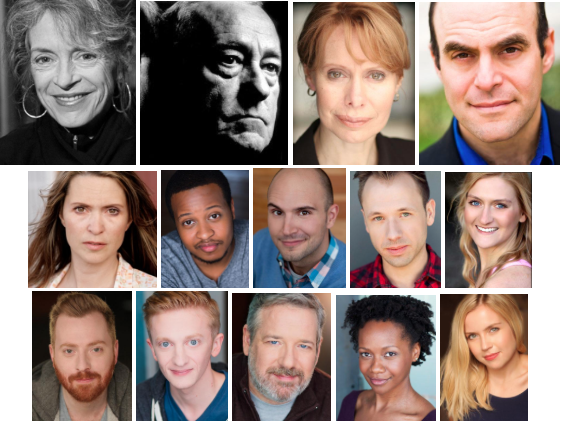 As a special bonus, Anne is working with us to customize the play to our city's own rich theatrical history (and contemporary reality), which is going to provide an immediacy and context that will make 10 out of 12 a must-see show for every Chicago theatergoer who loves Chicago Theater." Performances are March 3-April 23, 2017: Thursday through Saturday at 7:30 p.m., and Sunday at 2 p.m. Exceptions: Sunday previews on March 5 and March 12 are at 7 p.m. 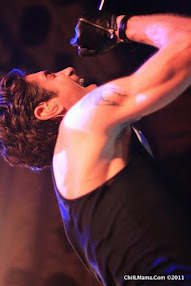 There is no performance on March 16. Theater Wit is located at 1229 N. Belmont Ave., in the heart of the new Belmont Theatre District in Chicago's Lakeview neighborhood. Tickets are $12-$70. 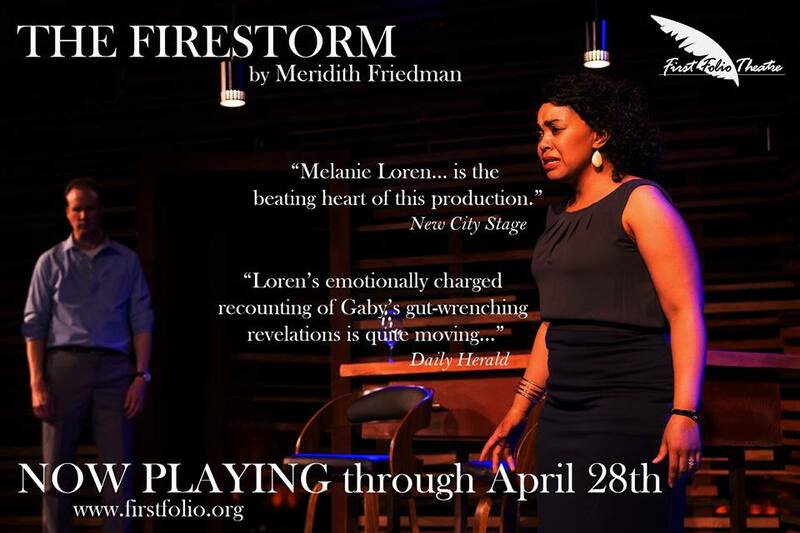 To purchase tickets, a Theater Wit Membership or Flex Pass, visit TheaterWit.org or call 773.975.8150. Former Steppenwolf Artistic Director Martha Lavey will voice the lighting designer. John Mahoney, best known for TV's Frasier, will play back stage crew person #3. Peter Sagal, host of NPR's Wait Wait...Don't Tell Me!, is the sound designer. Noted Chicago classical actor Barbara Robertson will voice the costume designer. At every performance, each audience member will be given their own headset to hear their pre-recorded backstage chatter, mixed in real time with live actors on stage for a very meta look at seemingly the most mundane of processes and the hopes and visions that emerge from the 10 hours commonly known as "tech." On stage, one of the city's edgiest storefront theater pioneers, Dado, takes on the role of the stage manager. Dado is joined by Gregory Fenner as Jake, an actor; Kyle Gibson as another actor, Ben; Shane Kenyon as the director; Erin Long as the assistant stage manager; Riley McIlveen as electrician #2, Adam Shalzi as assistant director; Stephen Walker as the troublesome lead actor, Paul; Eunice Woods as supporting actor, Siget; and Christine Yrem-Ydstie as the female lead, Eva. For a show that pulls the curtain on the tech process, major props are due for Wit's production team: Adam Vesness (set), Izumi Inaba (costumes), Diane Fairchild (lights), Brenda Didier (choreography), Andra Velis-Simon (original music and music director), Joe Court (sound), Vivian Knouse (props), Greg Pinsoneault (scenic charge), Andrew Glasenhardt (technical director), Kristof Janezic (master electrician) Majel Cuza (production manager) and Katie Klemme (stage manager). Anne Washburn (playwright) play, Mr. Burns...a post electric play, was produced by Theater Wit, Playwrights Horizons, Woolly Mammoth (DC) and The Almeida (London). Her other plays include Antilia Pneumatica, The Internationalist, A Devil at Noon, Apparition, The Communist Dracula Pageant, I Have Loved Strangers, The Ladies, The Small and a transadaptation of Euripides' Orestes. 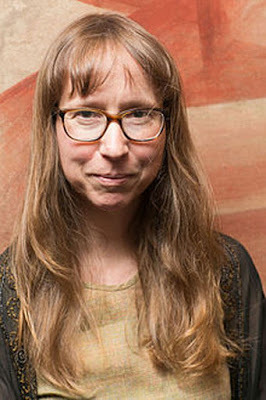 Awards include the 2015 Whiting Award, 2015 PEN/Laura Pels International Foundation Theater Award, the Guggenheim, a NYFA Fellowship, a Time Warner Fellowship, Susan Smith Blackburn finalist, and residencies at MacDowell and Yaddo. She is an associate artist with The Civilians, Clubbed Thumb, New Georges, Chochiqq, and is an alumna of New Dramatists and 13P. 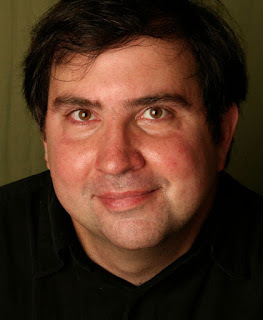 Jeremy Wechsler (director) most recently staged Theater Wit's workshop of Mitchell Fain's This Way Outta Santaland and the extended Midwest premiere of Mat Smart's Naperville. 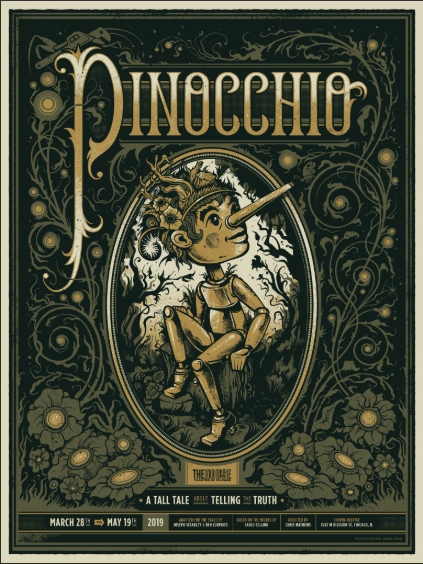 Other directing credits at Wit include the company's election night reading of The Trump Card by Mike Daisey, The New Sincerity by Alena Smith, The (curious case of the) Watson Intelligence by Madeleine George, Bad Jews by Joshua Harmon, Mr. Burns, a post-electric play by Anne Washburn, Madeline George's Seven Homeless Mammoths Wander New England, and that show's summer remount at Art Square Theatre in Las Vegas. Wechsler also staged Wit's acclaimed Completeness and The Four of Us (Itamar Moses), Tigers Be Still (Kim Rosenstock), This (Melissa James Gibson), Spin (Penny Penniston), Feydeau-Si-Deau (Georges Feydeau), Men of Steel (Qui Nguyen), Thom Pain (Based on Nothing) (Will Eno), Two for the Show (James Fitzpatrick and Will Clinger) and The Santaland Diaries. A veteran director in Chicago with over fifty productions, his work has been nominated for and won multiple awards for design, performance, adaptation and best new plays. Theater Wit, Chicago's "smart art" theater, is a major hub of the Chicago neighborhood theater scene, where audiences enjoy a smorgasbord of excellent productions in three, 99-seat spaces, see a parade of talented artists and mingle with audiences from all over Chicago. "A thrilling addition to Chicago's roster of theaters" (Chicago Tribune) and "a terrific place to see a show" (New City), Theater Wit is now in its sixth season at its home at 1229 N. Belmont, in the heart of the new Belmont Theatre District in Chicago's Lakeview neighborhood. The company's most recent hits there include Naperville by Mat Smart, The New Sincerity by Alena Smith, Bad Jews by Joshua Harmon, Mr. Burns, a post-electric play by Anne Washburn, The (curious case of the) Watson Intelligence and Seven Homeless Mammoths Wander New England by Madeleine George, and Completeness and The Four of Us by Itamar Moses. In 2014, Theater Wit was awarded the National Theatre Award by the American Theatre Wing for strengthening the quality, diversity and dynamism of American theater. Theater Wit also brings together Chicago's best storefront companies at its Lakeview home, including 2016-17 resident companies About Face and Shattered Globe. In addition to its popular Membership program, Theater Wit also offers a 10-play Flex Pass for $215 to anything presented in the building, a savings of up to 40%. To purchase a Theater Wit Membership, inquire about a Flex Pass or to buy single tickets, visit TheaterWit.org or call 773.975.8150.